Transforming unutilized spaces of your home into beautiful zones that not only back your needs for some quietude but also give an exceptional look to your abode. 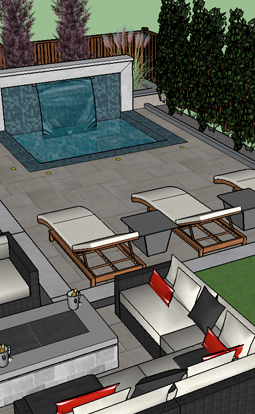 Land-Con is the most preferred landscape designing company of Toronto. 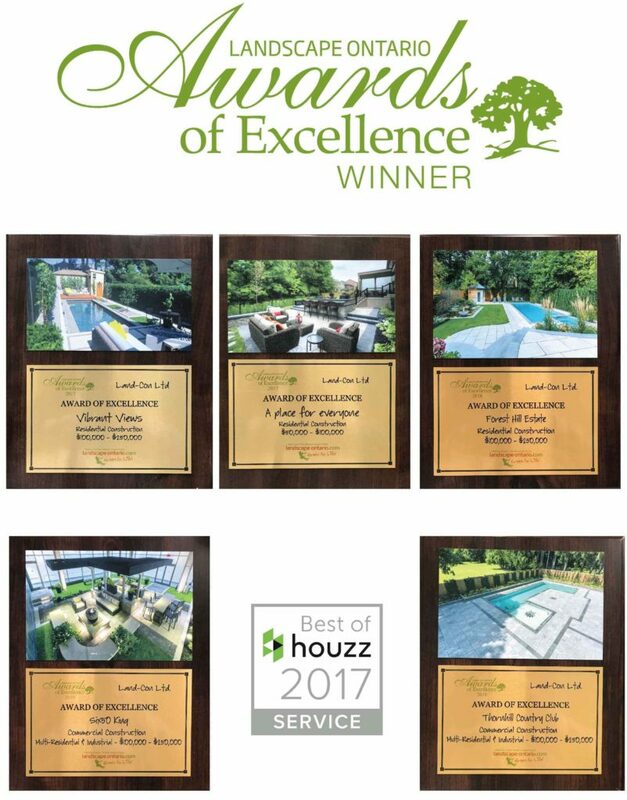 No matter what space of your home you are looking to transform, using the best landscaping features, our exert landscapers can meet all your needs. 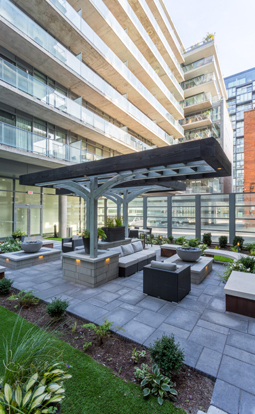 From the design and construction stage, to giving the right looks with best-fitting flora, our Toronto landscapers are there with you. 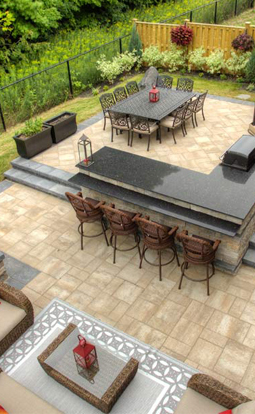 Whether it’s your backyard, porch, front yard, or that empty space below your stairs, our landscaping ideas will transform it into the most beautiful area of your home. 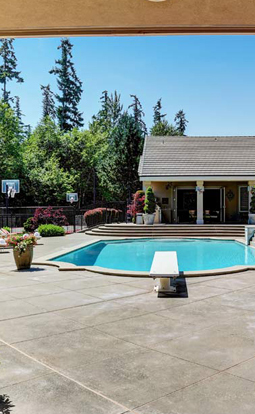 Improving your home’s landscaping can not only done to make your home comfortable and look beautiful but also to enhance your property value. 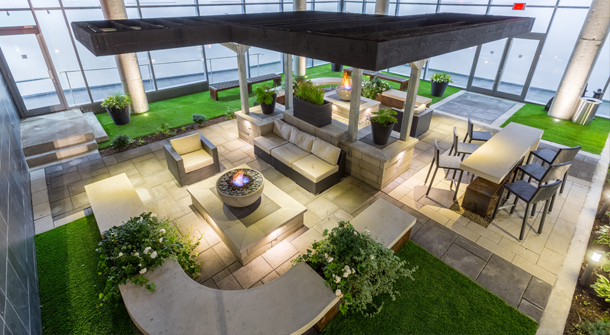 All you need to do is just contact us and our landscaping experts of Toronto will visit your place and suggest you a suitable landscape design plan. 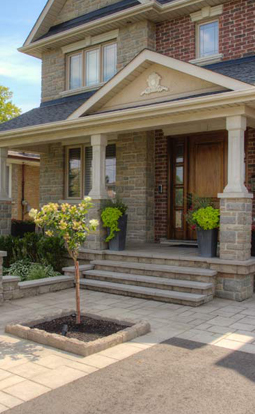 Our Toronto landscape design services are available for front yard, backyard, and indoor landscaping. 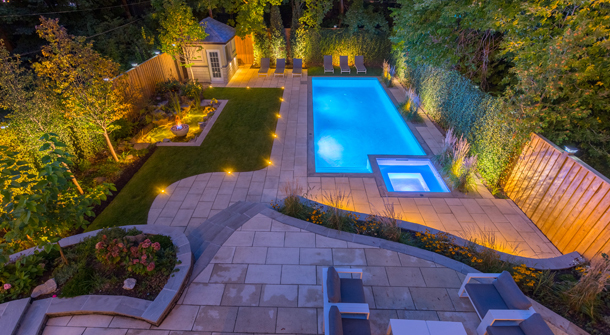 We not only develop a Toronto landscape design plan, we also construct your design from start to finish. 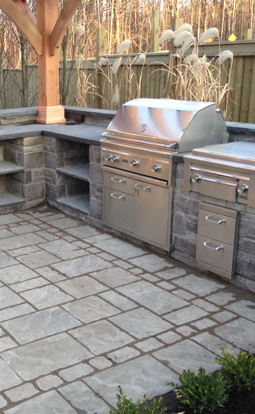 With more than fifteen years of experience in the landscaping area, our company completes every aspect of your design and build on time. Equipped with the right construction machinery, man power, and experience, we accomplish success on every landscape construction project. 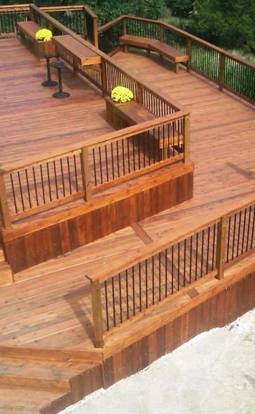 Make your pass times more pleasurable with an ideal deck or pergola. 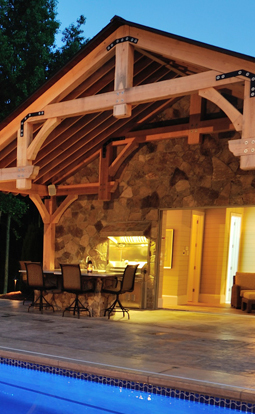 We design and build decks and pergolas which add to your luxury and glorify the beauty of your house. Interlocking on the areas around your house is essential to prevent dust or sand from entering your house. 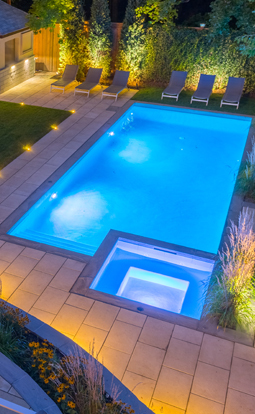 Our impeccable residential interlocking services offer you a plethora of options for layout. 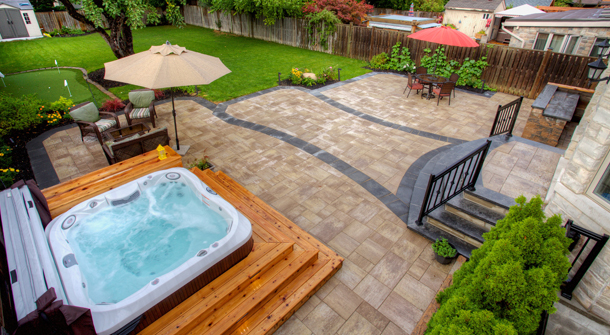 Interlocking can enhance the look of your residence and also, its value.